GET THE GARAGE YOU’VE ALWAYS WANTED! Elite Garage Will Change The Way You Think About Garages! We specialize in installing top quality garage floor coatings and accessories. Elite Garage will transform your garage into an attractive, neatly organized and fully functional addition to your home. Our Polyurea and Polyaspartic garage floor coatings and decorative concrete overlays help to minimize dust, so they are a snap to clean and maintain and you’ll never have to worry about stains and spills again. 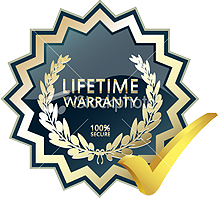 Like all of our products and services, our garage flooring carries a lifetime warranty. Elite Garage is your garage floor and epoxy expert in Massachusetts, New Hampshire & Throughout New England. And Your Basement Flooring, Pool Patios And More! Once you’ve got your beautiful new garage floor in place, let us transform your living spaces! We’ll take your ordinary basement floor, a well-worn walkway or over-loved pool patio and make it extraordinary by using a four step patented process unlike anything in the industry and stand behind a lifetime of excellence! Your living room, kitchen floor and commercial flooring too can look absolutely beautiful with our decorative concrete, Polyurea and Polyaspratic coatings. Our installers are all factory trained with expertise to meet stringent qualifications beyond your expectations! We have over 15 years experience with quality workmanship and our ultimate goal is your 100% satisfaction. Why Choose Elite Garage NE? Honesty. Integrity. Giving good value. Standing behind our work. We’re in this business for the long haul. You can depend upon us to be around tomorrow, next year, the year after, and many years after that. Our owner works right along side his crew, making sure that each job is done not just to the customer’s satisfaction, but to his as well. We pay attention to details. Dirt left on the floor? Nope. Not only would that ruin the look of the installation but Jason would give us heck for that. We take intense personal pride in the job that we do. We’re craftsmen. We have over 15 years experience with quality workmanship. Our ultimate goal is your 100% satisfaction. My two car garage floor was in terrible shape. It had cracks, voids, and uneven places. In addition, on two previous occasions, an epoxy had been applied with poor results. The old epoxy flaked and peeled. Elite Garage ground the concrete, filled cracks & voids, and applied an epoxy covering with flakes and a top coat. The floor looks beautiful and based on my contact with references, will provide a long-lasting surface for years. I finally got around to dropping you a line on how happy we are with the garage floor your guys put in a few weeks ago. Your guys were awesome…courteous, friendly and professional. After speaking with your crew about how poorly my basement floor looks like, my plan is to contact you in the fall to do our basement floor as well. Elite Garage not only exceeded my expectations on quality, they worked with me around my schedule for moving into a new house. There's no substitute for having the owner of the company personally there ensuring a quality outcome. I highly recommend using Elite Garage and speaking with Jason before you even think of doing it yourself!!! Jason and his team were excellent - did job in 1 day and very neat work. Would use them again for sure! © 2012 – 2016 Elite Garage NE. All rights reserved.